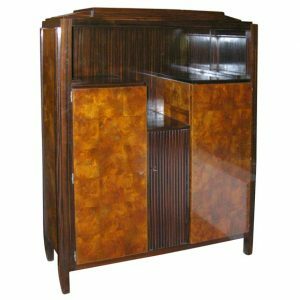 An unusual asymmetrical cabinet designed by Rene Drouet and decorated by Gaston Suisse from circa 1930’s, at the time being used as a foyer piece. 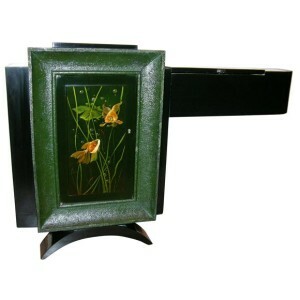 In black lacquer wood, door surrounded by a dark green frame and masterfully decorated with a gold-fish scene. 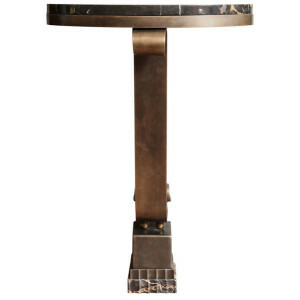 A modernist French Art Deco mirrored table, created circa 1936. 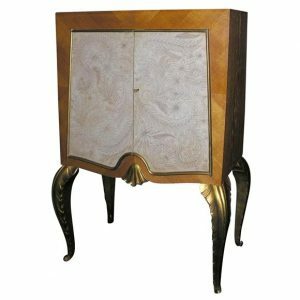 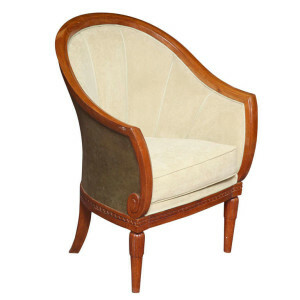 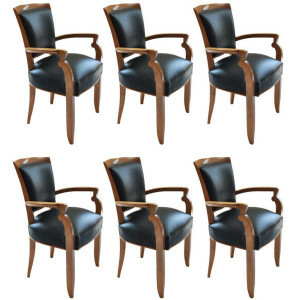 In sycamore, with gilt bronze accents. 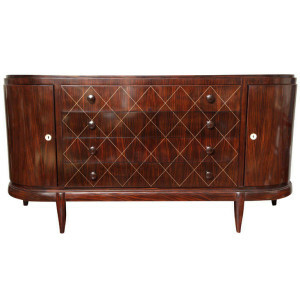 Signed and referenced in “Mobilier et Decoration” 1937, pg. 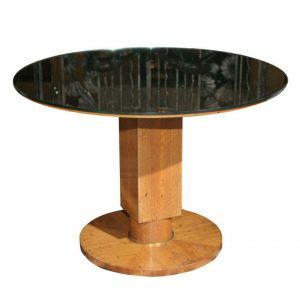 335, “Meubles et decors des annees 40” by Anne Bony, p.34. 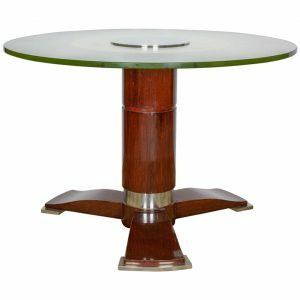 A Jules Leleu rosewood and chromium-plated metal and glass low table. 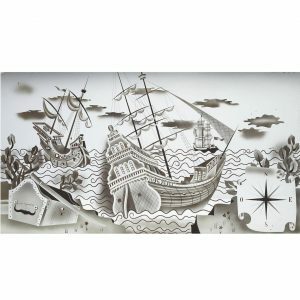 Viviane Jutheau, Jules and Andre Leleu, 1989, page 75 for a similar example done by Leleu for the ocean liner Normandy. 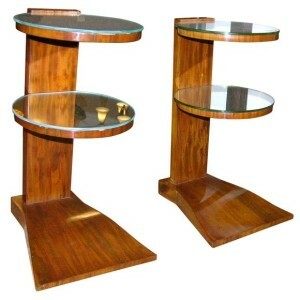 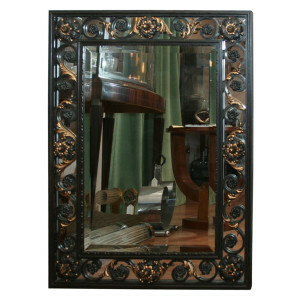 A pair of French Art Deco Side Tables stamped Jules Leleu, in mahogany wood and featuring two circular mirrored shelves.